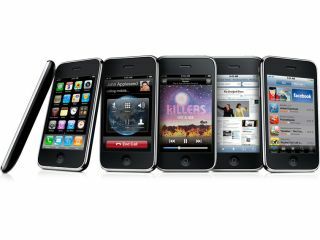 The new iPhone 3GS is set to be delivered into the hands of UK users on the day of release after an online retailer began pre-orders. Mobiles.co.uk is offering the phone on O2 contracts (obviously) from free for the 16GB version (on a 24 month tariff) to £274.23 for the 32GB iPhone 3GS on an 18 month deal. The site has also promised that the phones will be dispatched on 18 June, but we assume that means they'll arrive bright and early the next day, as Apple won't let early iPhone 3GS's slip into the hands of consumers. The Carphone Warehouse has said that it will be offering pre-orders as well, although it hasn't managed to do so at the time of publishing. Not that it will matter in the grand scheme of online retailing, as The Carphone Warehouse actually owns Mobiles.co.uk anyway. "Due to the short turnaround between announcement and the actual devices being on sale, we won't be offering any pre-order capability." So expect long queues and tired eyes on the 19 June outside O2 stores up and down the country, although it will surely only be those that haven't currently got the iPhone 3G as upgrading is out of the question.